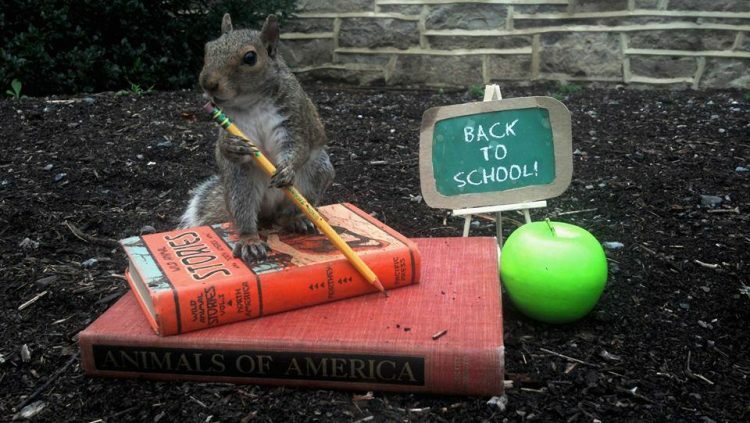 22-year-old Mary Krupa started interacting with the squirrels living on the Penn State University campus four years ago, and became an internet sensation after posting photos of the adorable rodents wearing tiny outfits and posing with various props. Today, everyone at the university knows her as the “Squirrel Whisperer” or “Squirrel Girl”. Mary says that she became friends with the grey squirrels during her first week at Penn State, after spotting them running around and idly wondering what one of them would look like with a tiny hat on its head. She started bringing them food, and little by little they began to trust her. She actually managed to put a hat on a squirrel and take a picture, which she then sent to her grandmother, who loved it. Thinking that her Penn State colleagues could use something to lift up their spirits, she started posting photos of the squirrels wearing funny hats and playing with props she made herself, on Facebook. The response was overwhelmingly positive, and before long Mary and her squirrels became internet sensations. 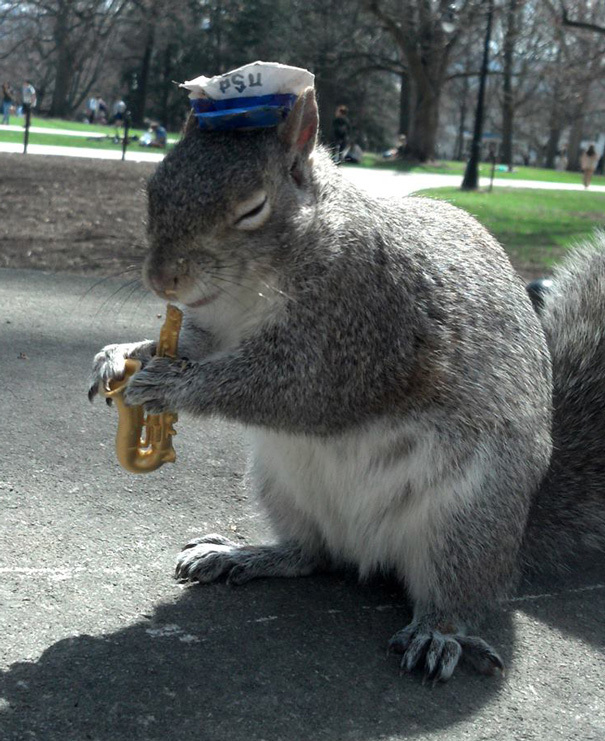 Photos of Sneezy – the most famous of Krupa’s furry friends – holding a leak rake, opening a treasure chest full of acorns or holding a “Go Penn State” sign have become viral over the years, getting thousands of Facebook likes and making the 22-year-old one of the most popular students on campus. But it wasn’t always like this. Growing up in a neighborhood outside State College, Mary was always fond of birds and animals around her home, but she didn’t interact with people very much. She was later diagnosed with Asperger’s syndrome, a milder form of autism, and remembers that she was an anti-social, awkward loner in high-school. But the squirrels changed that. And in case you’re wondering how Mary is able to get the squirrels to do what she want for her photos, it has a lot to do with food. For example, whenever she wants Sneezy to hold or play with something, she smears a dollop of peanut butter on the prop, and he’ll grab it. “It’s kind of a give and take. They’re not going to play with me unless I have food to give them,” she told Onward State, four years ago. But getting to that part took a while. In the beginning, she would throw peanuts up the trees on campus and invite the squirrels to come down and get them, but they hesitated to approach her. She had the patience to earn their trust, though, and now many of them run to her like tiny dogs expecting a treat. Mary Kruppa is graduating from Penn State University this year, with a degree in English and wildlife sciences. She wants to be a science writer and educate people about what they can do to preserve the environment. As for her furry friends, Mary plans to stay in the area and visit them as often as she can.